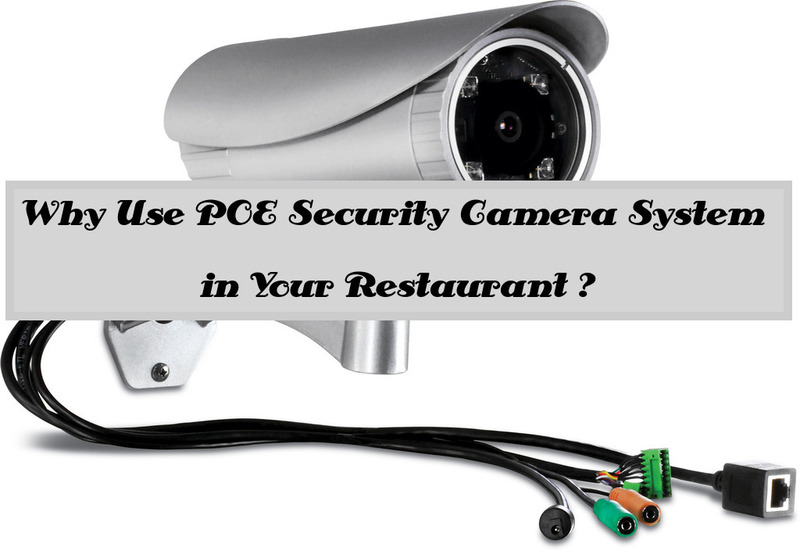 Why Use POE Security Camera System in Your Restaurant ? It is a technology that allows the network cables to carry electrical power. First Connection: A video connection to stream the video recording and display equipment at your business place. Second Connection: A power connection that will deliver the electrical power the camera requires in order to operate. Note: If your restaurant is PoE Security Camera System enabled, only the network connection needs to be made, as it will also receive its electrical power from this cable. Time-saving and inexpensive – It reduces the time and cost of having a POE system electrical power cabling installed. Installation of network cables does not require a licensed electrician and it can be located anywhere. Flexible – You can easily relocate and reposition an electrical outlet and devices such as wireless access and IP cameras whenever required. Security – Power Over Ethernet is intelligent. It is specially designed to protect network equipment from underpowering, overload, or any kind of incorrect installation. Reliability – Power Over Ethernet powers itself from central and universally compatible sources rather than a collection of those distributed wall adapters. It can be controlled to easily disable or reset devices or backed-up by an uninterrupted power supply. Scalability – If you have power available on your network at your restaurant, that means installation and distribution of the network connections is simple and effective. VoIP phones – If you’re using VoIP phones in your restaurant, this is an original POE application. Using POE means phones have only a single connection to a wall socket, and it can be remotely powered down like older analog systems. Note: They’re easy to operate! IP cameras – POE can be found everywhere now on networked surveillance cameras; POE enables easy repositioning and fast deployment. Wireless Devices – Wifi access points are commonly POE compatible to allow remote location away from AC outlets and relocating site surveys. Note: POE can be used with wireless devices as well.